The intentions of Bill C-69 are good. An impact assessment and regulatory system that Canadians trust; that helps protect the environment and the health and safety of Canadians; that enhances Canada’s global competitiveness; and where decisions can be made in a predictable and timely manner, providing certainty to investors and stakeholders. Unfortunately, as drafted, Bill C-69 most certainly will not only miss a good number of those goals, but will also make what is already a challenging situation worse. The good news is that with a few, but material, amendments, we can get Bill C-69 right. Investment is turning away from Canada because we cannot get much built, and cannot harness our resources effectively. Part of the blame goes to our regulatory system, which our own government has recognized must do far more to reflect economic prosperity, growth and competitiveness. The other issue is that, in the absence of clear governmental climate and Indigenous policies, the courts have been the forum for complaint – resulting in extensive delays and uncertainty for major projects. Investors are not afraid of strong environmental rules, nor of clear parameters for Indigenous engagement – indeed, more and more proponents and investors ARE Indigenous. What investors need is certainty, consistency and trust in the process. At the same time, the public needs to trust a regulatory system that is independent of political interference and influence. As is, Bill C-69 threatens both. The energy sector in particular – which at more than six times the size of the auto sector is critical to Canada’s prosperity – is reeling from the effects of lack of access to markets. Now is NOT the time to introduce more major uncertainty. 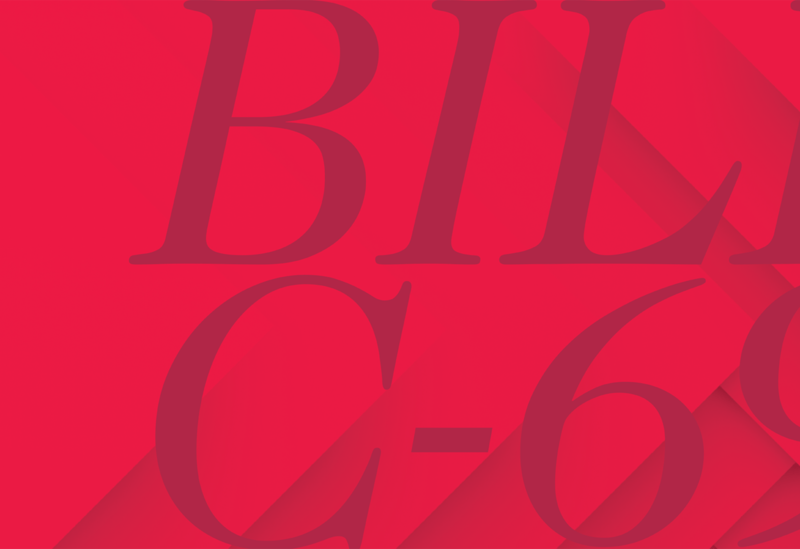 As an independent, non-partisan, evidence-based organization focused exclusively on the best public policies possible for Canada, we support the intentions of Bill C-69 – but for us to support its passage, we recommend a number of key amendments. This report explains what those recommended amendments are, and why. Since we published our report Unstuck: Recommendations for reforming Canada’s regulatory process for energy projects in May 2018, Bill C-69 has proceeded through the House of Commons and is now before the Senate. Bill C-69 would replace the National Energy Board (NEB) with a new Canadian Energy Regulator (CER) and replace the federal Environmental Assessment Act with a new Impact Assessment Act (IA Act), creating a new Impact Assessment Agency (IA Agency). Times have changed. Canadians are, rightly so, demanding more environmental protection, more effort to combat climate change, and greater recognition of Indigenous rights. The public, and our elected governments, need to be able to trust our regulators and our regulatory system to do more in these areas, more effectively. However, investors must have confidence as well, because our economic and social prosperity depend on investment and growth. Not only must these goals of public trust and investor confidence be aligned – they are mutually dependent. The current environmental legislation, the Canadian Environmental Assessment Act, 2012 (CEAA 2012) does not adequately achieve these goals. We need something better. The NEB, in particular its governance and transparency of operations, also needs modernization. Both need improvement to achieve public trust and investor confidence. Bill C-69 is intended to do this, and indeed puts forward many improvements to the assessment process – including the move to broaden the focus to more than just environmental issues, the inclusion of the early planning phase, the use of regional and strategic assessments, and increased transparency around some decision-making. Unfortunately, aspects of the bill as proposed would cause a number of serious, unintended consequences that would both undermine the very public trust needed and turn even more investment away – exactly the opposite of what is intended. The significant downturn in Canada’s attractiveness for large infrastructure investment is very real and a very big problem for Canada’s future prosperity. Our analysis has shown that there are five interlinked problems – and we recommend a set of interlinked solutions. The most important of these is to keep the project approval function for pipeline, electricity transmission and nuclear projects within the NEB and Canadian Nuclear Safety Commission (CNSC) respectively. The NEB needs modernization – but it is critical that this be done OUTSIDE of Bill C-69 and by amending the National Energy Board Act instead. The remaining problems are explained in more detail in this report – as are the proposed solutions and our reasoning.